Jaynes Maritime specializes in building commercial USCG certified day sail catamarans, power catamarans and passenger carrying vessels for the tourist trade, and custom built cruising multihulls; catamarans, trimarans, both power and sail. Our USCG inspected commercial passenger carrying vessels operate today at hotels and resorts throughout the Caribbean and Florida. We have built many Searunner and Custom designed multi passenger day sail catamarans which are ideal for the charter trade. 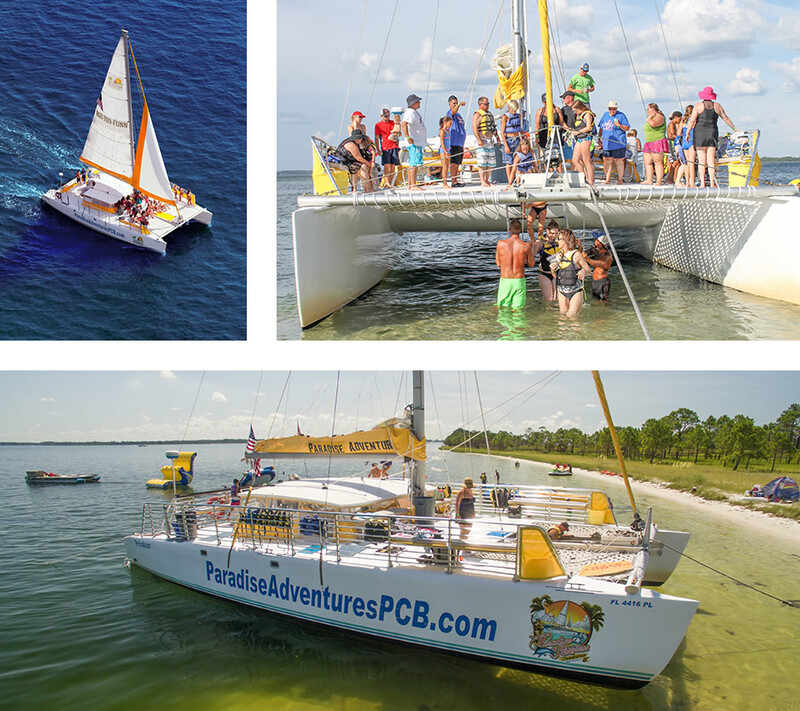 The build, launch and sailing of Adventuress. A Jayne’s Maritime 52′ 49 passenger day sail catamaran that operates in St Thomas, USVI. What sets Jayne’s Maritime apart is the combination of Doug Jayne and his boat building staff’s extensive blue water sailing experience; 40+ years of expertise in building, repairing, owning and hauling vessels and detailed personal knowledge of owning,operating and maintaining multi passenger charter boats in the Caribbean, Newport, RI, Charleston, SC and Shelter Island and Sag Harbor, NY. One of the major differences about Jaynes Maritime is Doug’s hands on approach; he is side by side building and overseeing every aspect of the build process. You cant get a more personalized custom builder with his knowledge and expertise regarding building commercial daysail catamarans. This combination of expertise is translated in how Jayne’s Maritime’s staff works with its customers in customizing each vessel to meet the individual needs of its owners and location.